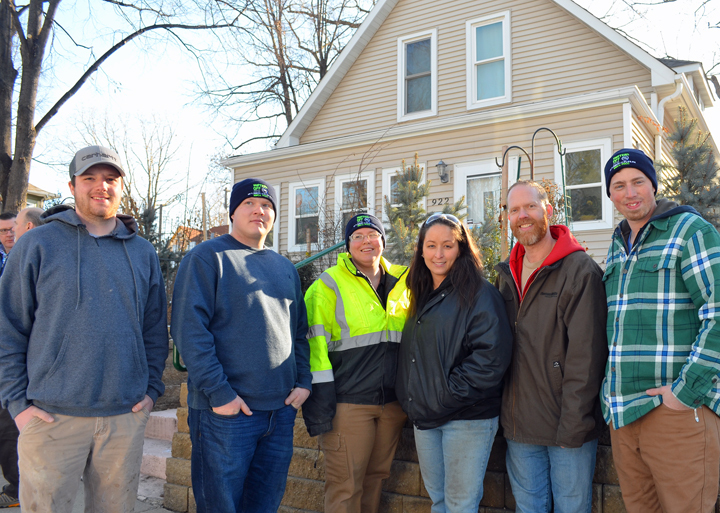 Union volunteers working on St. Paul’s East Side include (L to R) Forrest Callahan (Local 34), Curtiss Cross (Local 15), Sara Gysbers (15), Tasha Lawrence (34), Jack Lawrence (15) and Stuart Kane. Union plumbers and contractors held their annual “Water’s Off” service day Saturday, providing free repairs and inspections to low-income, elderly and disabled homeowners in the Twin Cities and Rochester. More than 100 volunteers provided no-charge service to about 75 homeowners this year. Minnesota apprentices and journey-level plumbers have given up more than 11,000 volunteer hours since “Water’s Off” began in 1994, providing over $1.5 million worth of repairs to 3,500 households statewide. Union contractors, meanwhile, provide replacement parts at no cost to the homeowners. In addition to helping those in need, “Water’s Off” boosts water conservation efforts in the region – a driving motivation behind the project’s founding 24 years ago. After working with utility companies, Minnesota Pipe Trades President David Ybarra recalled, union plumbers found that those who could least afford plumbing services were the same homeowners with the largest water bills. “Giving back to our communities is one of our core union principles, so once we identified the problem, we knew we needed to help,” Ybarra said. The program developed in Minnesota now serves as a model for other volunteer programs across the country. Plumbers Local 34 apprentices gather for a photo before Water’s Off 2018. 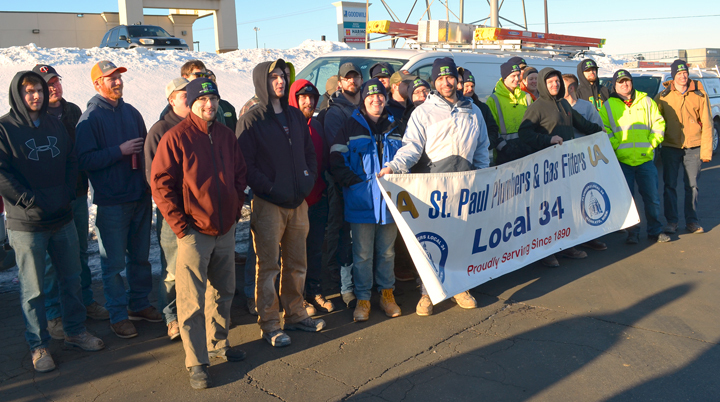 St. Paul Plumbers Local 34 turned out nearly as many apprentices (33) as journey-level members (49) this year – an encouraging sign for the future of the program. Together, they provided repairs to 24 homeowners in the East Metro.